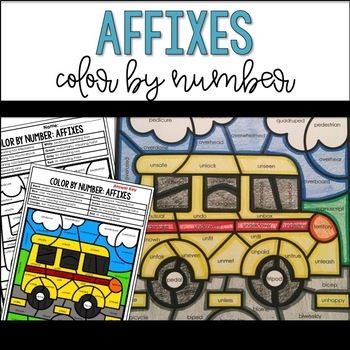 Looking for a fun activity to help your upper-elementary students practice affixes? This color by number activity will keep them engaged as they practice important skills! Two versions are included- one gives the affix and meaning, and the other just gives the meaning.